The Second Word War was a war full of “firsts”. 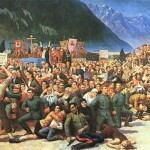 Many new tactics would be pioneered during the conflicts. Notable of these was the use of airborne paratroopers. As the U.S. army developed uniforms and equipment for their new airborne troops, one piece of equipment that would need a complete over-hall was the helmet. 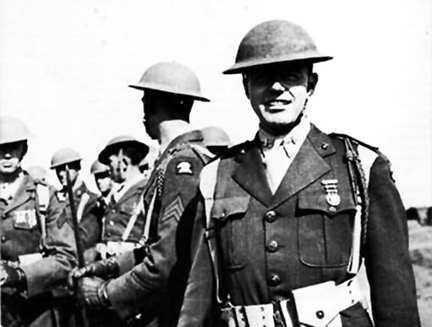 U.S. Marines in 1941 wearing antiquated WWI era helmets. 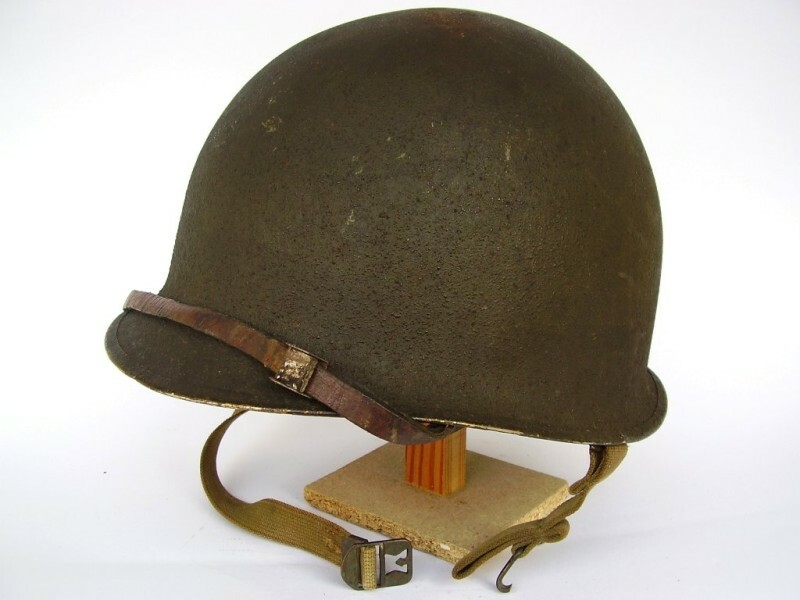 In 1941 most members of the U.S. armed forces were still wearing 1st World War vintage helmets which had only been slightly modified since the days of the Great War. As war loomed on the horizon, the army sought to modernize it’s helmet, realizing the antiquated P17 didn’t offer nearly the protection needed in a modern conflict. As the army looked at options, one of the first helmets to be considered for a jump helmet was the M1 helmet which had already been adopted by the rest of the armed forces. The M1 helmet had been put into production in late 1941 and was slowly being issued out to replace the outdated soup dish helmets. The M1 was a logical choice for adoption because the helmet was already in production and was receiving positive feedback from those who were issued it. During field trials a few problems were discovered. The M1 was easily knocked off the wearer’s head when the parachute deployed or when the troopers assumed an inverted position. Aside from the trooper losing his helmet, the falling steel shell created a lethal hazard for those troops already on the ground. Another problem with the M1 was the chinstrap. It was feared that the web chinstrap could not secure the helmet tight enough to the trooper’s head for the jump. A loose helmet could be blown back off the paratrooper’s head by the back prop blast thus creating a serious chocking hazard. With these legitimate problems to contend with, the research and development branch of the quarter master corps needed to make modifications to the M1 to make the helmet more suitable for paratroopers. The solution to make a more suitable helmet for airborne troops was a simple one. With a few small modification to the M1 helmet and liner, a new helmet was created, the M2 or Paratrooper Helmet. These modified helmets were made by The McCord Radiator company. McCord at this point in the war was the sole manufacturer of the M1s and were contracted in early January, 1942 to began production on the M2. While in general appearance the M2 is almost identical to the M1, the difference lies in the chinstrap loops. 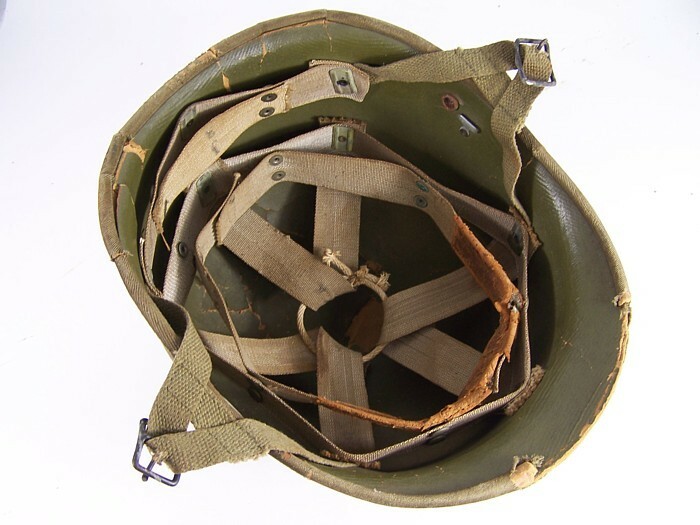 The M1 helmet had two stainless steel square loops which were spot welded at right angles to both sides of the interior rim, and then the chinstrap was attached. This design was modified for the M2. 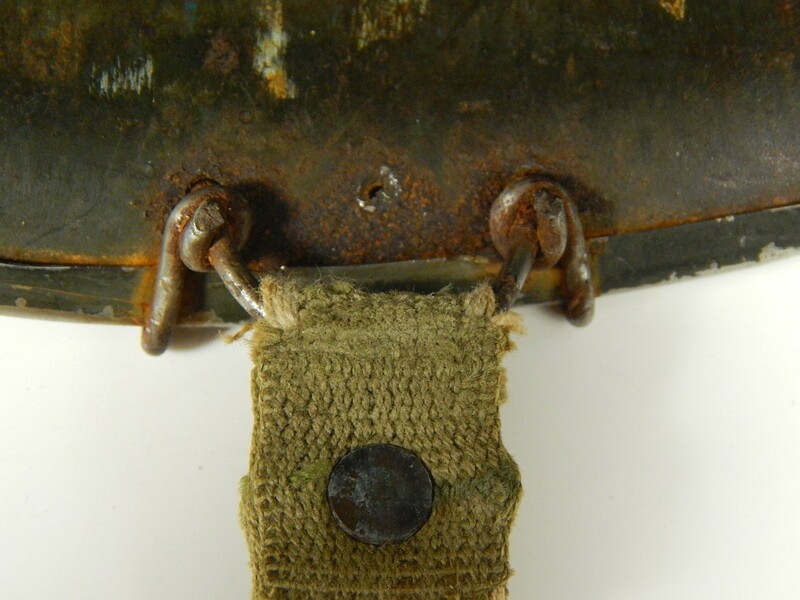 The M2 was fit with steel wire “C-loops” which extended well below the base of the rim. There may be some confusion as to the nomenclature utilized for these loops.While many have called these helmet chinstrap brackets D-bails or C-loops, the army officially identified them as C-loop, and not bails. At this point it may be an unimportant detail as both terms are used by collectors and aficionados and are mutually understood. 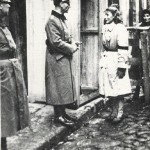 The reason for the change in loops was to accommodate a chinstrap which was designed specifically for airborne troops. 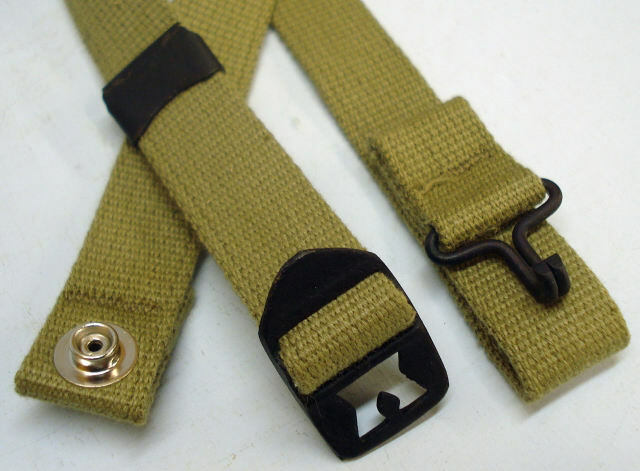 The strap was made three inches longer and fitted with nickel plated male snaps intended to be secured to the liner during a jump. 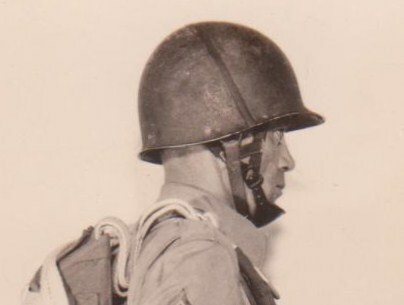 The larger C-loops allowed the chinstrap more freedom of movement making it easier to buckle behind the troopers neck, thus allaying the chocking concern. 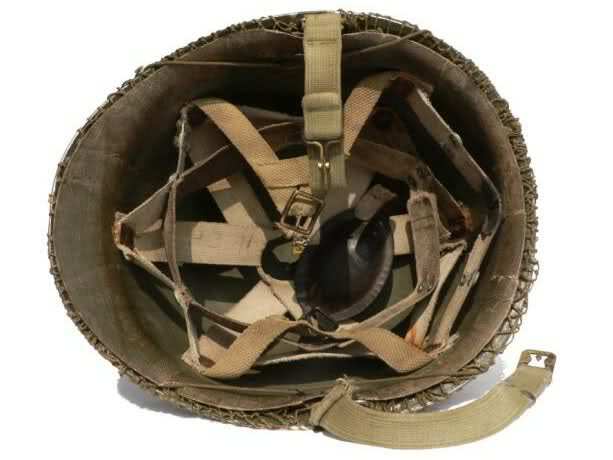 The liner needed for the new M2 helmet was a variation of what was already being used. Liners were converted to a jump configuration by adding inverted A-yokes to both sides of the liner which were riveted between the shell and suspension and secured in pace by a washer. 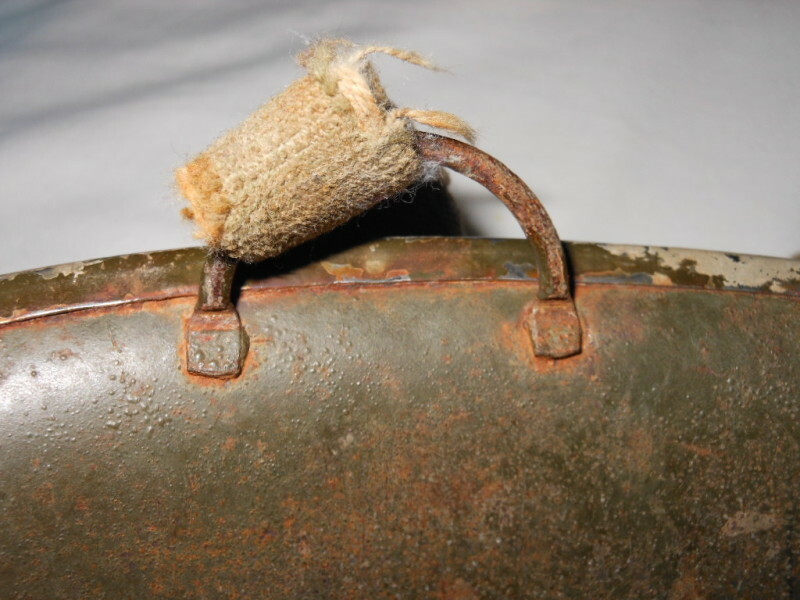 Brass or steel buckles were attached to the base of the A-yokes and a leather chin cup was attached. This chin cup was worn during a jump which would tightly secure the helmet to the trooper’s head thus mitigating the danger of loosing the helmet and alleviating the perceived choking hazard. In addition to the inverted A-yokes, nickel coated female snaps were attached to both side of the liner shell just above the rim with matching snaps on the chinstrap. The configuration would help keep the liner and helmet together during a jump. Jump liners come from only four different firms. Early liners were made by Hawley, and the St. Clair Rubber company. The durability of these early liners were poor and McCord switched to using high pressure composite liners made by Inland. In 1943 Inland ceased liner production and Westinghouse was contracted to produce jump liners. The exact numbers of M2 helmets produced by McCord are not precisely known. McCord subcontracted with Hawley to produce 43,000 fiber liners starting on January 24th, 1942. At the same time an unknown number of St. Clair low pressure liners were procured and converted to a jump configuration by McCord. In October of 1942, McCord subcontracted with Inland to procure 75,000 high pressure liners which were then converted to a jump configuration. If it can be assumed that one M2 was produced for every Hawley and Inland liner procured, and factoring in the unknown small number of St. Clair low pressure liners, it can be reasoned that more than 118,000 helmets were produced by McCord. The time frame in which these helmets were made was in fact short. Production on the M2 was stopped in early 1943 due to a fairly serious design flaw. 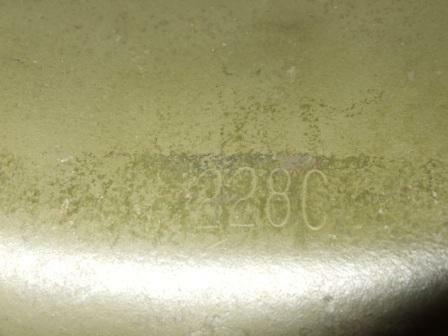 A study of heating lot numbers stamped on the inside of M2 helmet, usually found just under the bill, seem to all fall within the 200 series. This is an important fact for collectors to know as any M2 that falls outside this lot number should be viewed with a great deal of skepticism. 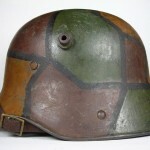 Although the M2 had many attributes which made it an excellent helmet for paratroopers, it wasn’t without it’s flaws. The C-loops proved to be the helmet’s undoing. Soon after the helmet was issued out, complaints began to filter back to Head Quarters Airbourne Command that the C-loops would snap off during the moment of impact when the parachute opened. Even dropping the helmet on a hard surface caused the loops to snap off. 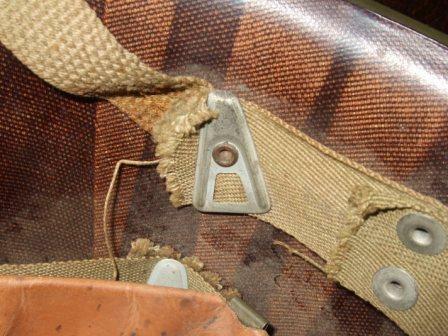 Loops were also know to break when troopers sat on the helmet, a common practice among U.S. troops. In December of 1943, the quartermaster at Camp MacKall received 2500 M2 helmets all of which needed the loops repaired. These broken bails were more then just an annoying nuisance, they had lethal consequences. In a December 21, 1943 report from General Donavan of Headquarters Airborne Command at Camp MacKall, it stated that defective helmets frequently broke free during jumps as soon as the parachute deployed. 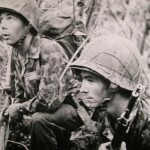 These helmets caused a number of serious injuries including numerous fatalities as the helmets plummeted to the ground hitting unsuspecting ground troops. Despite these problems and the very real dangers to the troops, Airborne Command choose to continue to issue M2s until the stock was exhausted. With the production of M2 helmets ceasing in early 1943, paratrooper quartermasters had to make do with what helmets were available to them. 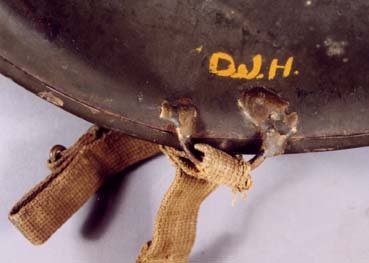 Broken M2 helmets were continuously repaired and reissued well into 1944. The repair work on these helmet varied greatly. Some of the repairs show some skill while others were poorly done. Some degree of creativity can be seen on original repaired M2 helmets. A few original M2s have been found fit with rings which swivel back and fourth while others have been found with new bails created with salvaged wire. An M2 helmet repaired by creating new chinstrap bails made from salvaged wire. Even though the Airborne High Command intended to replace the M2 as early as 1943, as is often the case with the military, the process was a slow one. A new designed helmet known as the M1-C would not be made available to airborne troops until January of 1945. In the mean time, Airborne troops would continue to rely on the M2. 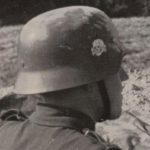 When M2s were not available, regular fixed bail helmets and in the later stages of the war the new swivel bail helmets which were replacing the old fixed bail helmet were substituted. While the M2 was by no means a perfect helmet, it still was the predominate helmet among paratroopers. 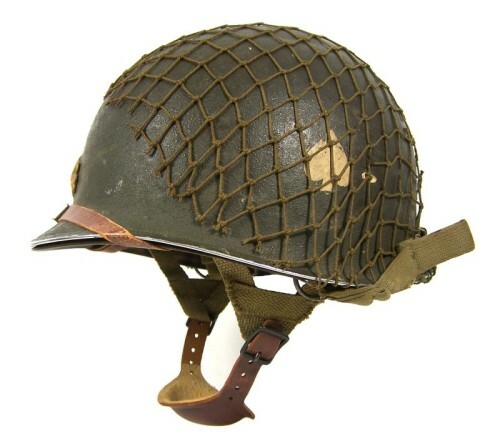 This helmet would see service in all the major airborne campaigns of WWII. 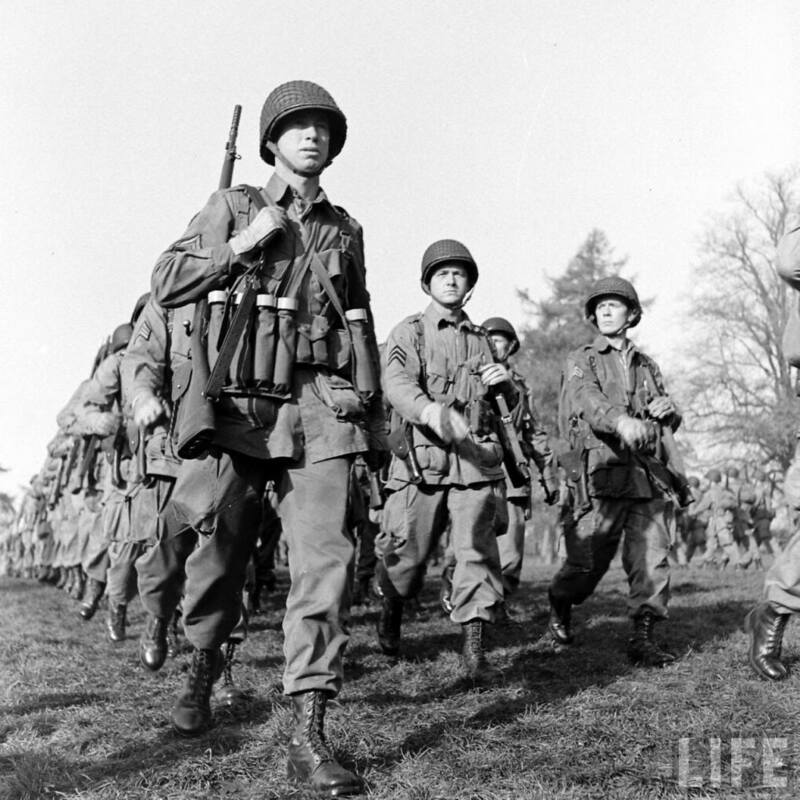 From operations Husky, Normandy, Market Garden, to Varsity, the M2 was there protecting the heads of the paratroopers. Without a doubt, the M2 has earned it’s honored placed in the history of WWII.